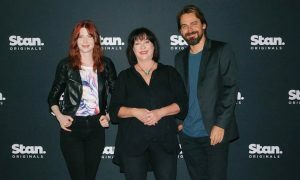 Optus has announced its latest entertainment offer, with a three month bonus subscription to Stan for customers who sign up to an eligible Home Broadband bundle on a 24 month contract. 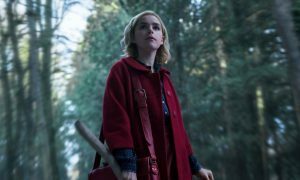 Customers who redeem their bonus subscription can stream Stan’s outstanding lineup of exclusive premieres including Better Call Saul Season 2, Sherlock: The Abominable Bride, 11.22.63, SHOWTIME’s Billions, as well as blockbuster movies, documentaries and the best kids entertainment, all from the comfort of home or while on the go. • Entertainment at home or on-the go: Family members can watch Stan on up to three screens at the same time. Optus’ suite of unlimited broadband plans are purpose built for non-stop entertainment, so customers can binge-watch their favourite TV shows and enjoy movie marathons without running out of data. Unlimited data gives customers the freedom to stream and download as much content as they want without excess data charges or speed limits. “Unlimited data means a worry free streaming experience. That’s why an increasing number of our customers are opting for unlimited data plans that bundle a broadband connection with entertainment options,” White said. 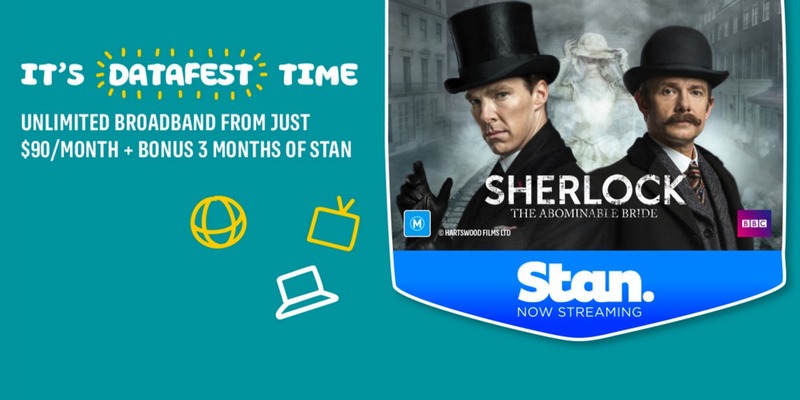 Optus’ bonus Stan subscription will be available from 1 February until 30 April 2016 for new and existing customers who sign up to one of the following eligible Home Broadband plans on a 24 month contract. 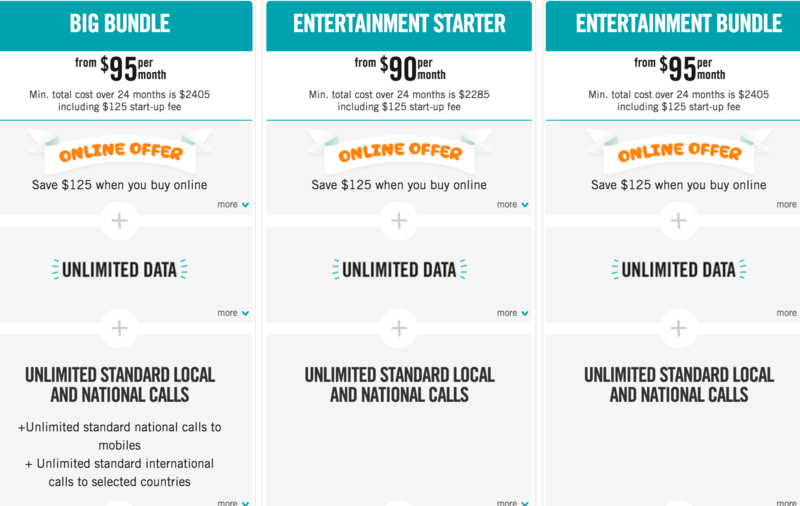 Graphic shows some of the unlimited data Optus broadband plans.